Is Chennaia��s first and much awaitedA� Hard Rock Cafe worth the trek to Velachery? 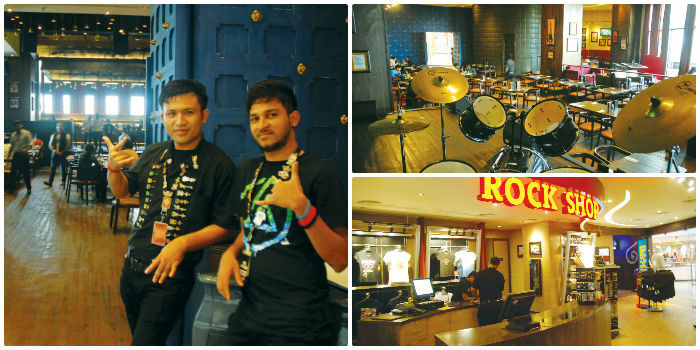 Surely you dona��t need us to explain why news of Hard Rock Cafe having finally opened in Phoenix Market City was music to our ears. With 150 covers, a merchandise store and a world of memorabilia from ace musicians across the globe to gape at, theya��ve certainly opened with a bang. However, you should know that with their liquor licence pending, you get mocktails for now. But that didna��t stop us a�� and the rest of the city judging by their perennially occupied tables a�� from paying them a visit. Before heading to the cafe, we make a quick stop at the Rock Shop where a selection of T-shirts, mugs and other accessories are ripe for the taking. 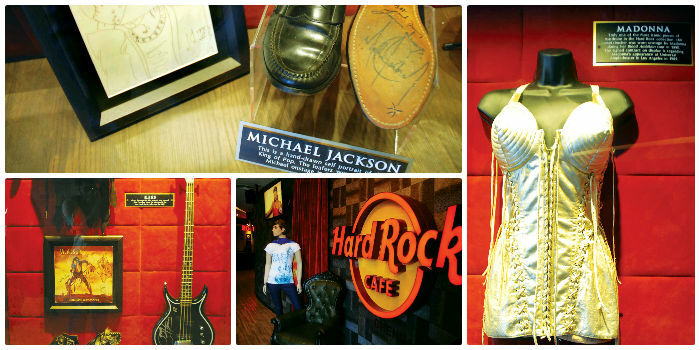 But ita��s their display that draws the most attention a�� a camera used by John Lennon, boots worn by the King of Pop and a mean bass guitar courtesy Kiss. We follow this trail all the way to the cafe on top (therea��s an elevator dedicated to this, just in case youa��re extra hungry…or thirsty), where plenty more await. The staff, gung ho with a contagious energy, are happy to take guests on a guided tour, explaining the story behind each of the precious things on display. For instance, therea��s a guitar with faint signatures of the members of U2, which an unsuspecting employee wiped up while in storage. And at the entrance, a suit that belonged to the man who started it all a�� Eric Clapton. With rock music from across the ages playing in the background, we browse their menu. Amid favourites like the hickory-smoked chicken, are sections titled a�?Namma Chennaia�� with local specials like Southern spiced chicken curry, Keralian fish curry, paneer makhani and paneer kathi rolls. As we polish off our chicken wings and lime sodas, wea��re told that the live performances start on January 9. Ita��s city-based bands like Skrat and Blues Conscience who are kicking things off. So what if Chennai was not built on rock and roll, therea��s plenty of time to rebuild it.